The contrast was jarring : Just days after the police broke into the offices of an opposition newspaper using tear gas and water cannons, Turkey’s prime minister was greeted in Brussels with offers of billions in aid, visa-free travel for Turks in Europe and renewed prospects for joining the European Union. The juxtaposition highlighted the conundrum Europe faces as it seeks solutions to its worst refugee crisis since World War II. To win Turkey’s desperately needed assistance in stemming the flow of migrants to the Continent, European officials seem prepared to ignore what critics say is President Recep Tayyip Erdogan’s steady march toward authoritarianism. – The New York Times, »E.U. 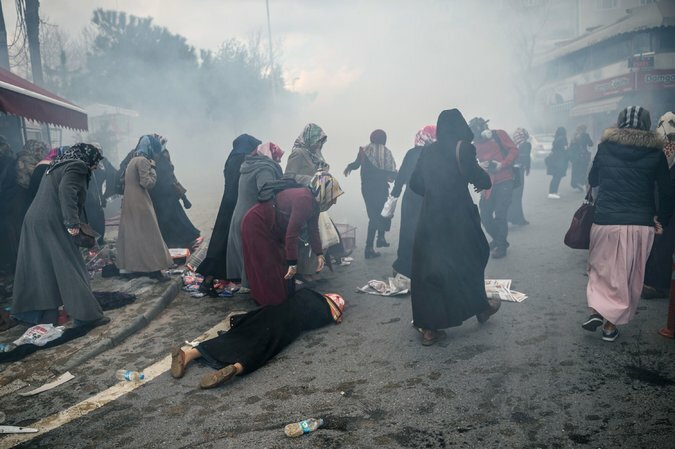 Woos Turkey for Refugee Help, Ignoring Rights Crackdown ». Thus, European leaders are actually vindicating the nationalist populist representation of migrants and refugees as a threat to the labour markets, the security, the health and the values of Europeans. It will take a whole generation to undo the damage presently done to the democratic functioning of European and national institutions, to the perception abroad of the principles of European foreign policies, to the understanding of mobility and diversity as assets to be celebrated and not threats to be feared, and to the ownsense of self of Europeans who had hoped to live in free, open, diverse, mobile, inclusive and welcoming communities.